One of my first designs for bunglo was our Mid Century print. I felt it captured the modern, chic feeling I was going for in my own home. Below is a photo my Mom sent me of her ‘bunglo bed‘. The painting she has above her bed was always one of my favorites. I loved the natural yet feminine palette. I can see women walking as if it were a fashion show yet there’s a layer of sophistication that I always liked. My Mom has always had the best style, she used to be a model and great with fashion – which carried over to designing a home. I love how she paired multi color patterns together to tie in the piece of art. The art on your walls should make you feel good, find art that you want to be the focal point of your room, finish the story by pulling colors from the piece to complete your space! Love the look? 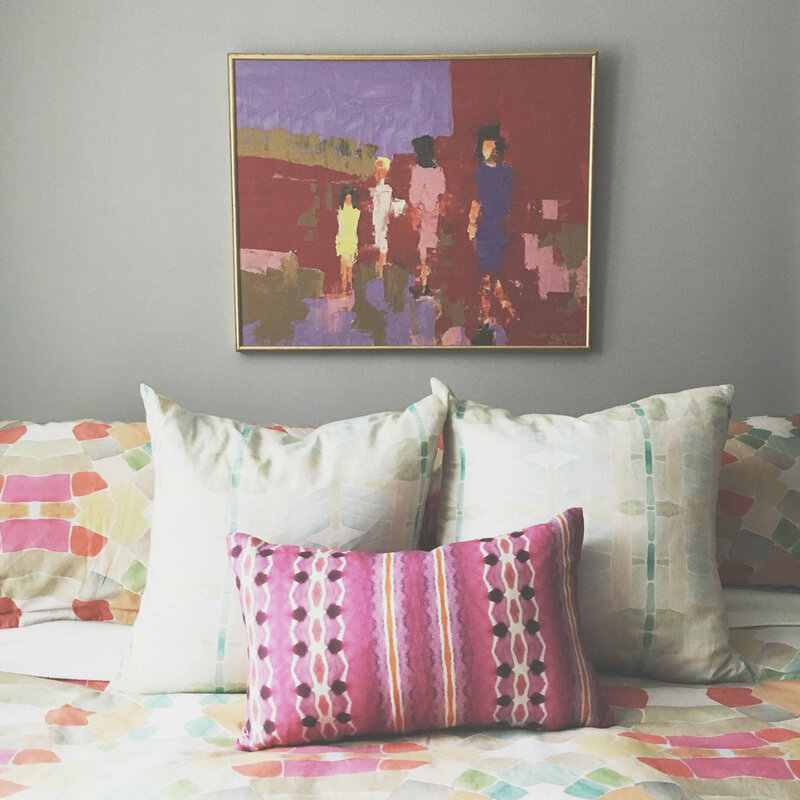 Buy a Mid Century Pillow to accent your sofa or a Mid Century Duvet to give your room a modern feel! My watercolor sketches that inspired the Mid Century pattern. Previous CANDLES, NOTEBOOKS + GIFT BOXES!